Liberal MP Josh Frydenberg has attacked the government’s “crude attempt” to win votes in this Thursday’s UN Security Council vote. Citing its hypocrisy on Iran, Frydenberg wrote in the Herald Sun on Monday that sending two representatives to the Non-Aligned Movement’s summit in Tehran in August – despite the fact Australia is not a member of the NAM and America and Canada had boycotted it – was hypocritical. UN members will vote on Thursday for 10 temporary seats at the Security Council’s 2013-2014 term. Australia, Finland and Luxembourg are vying for two seats. 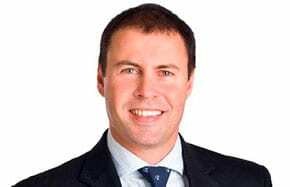 Frydenberg, the member for Kooyong, also had an op-ed in The Australian on Monday lauding former British PM Margaret Thatcher. The current Australian government has no backbone, all of its decisions being made in compromise form to suit their agendas, and the Opposition have their heads in another era and can’t think past school yard tactics and ‘winning’. Thank G-d for the few individuals in Parliament who actually have enough moral fibre to say it how it is. We do, however, need leaders with enough courage to ‘draw lines’ that shouldn’t be crossed a la Netanyahu’s diagram idea. If they only knew, they’d be heartily respected for it. Good on you Josh Frydenberg. The government was indeed hypocritical in sending delegates to a meeting of some of the worst offenders against human rights and the rule of law.But it was also guilty of cowardice and dissembling. FM Carr had assured our community leaders that the delgates would not remain at the meeting if Ahmadinejad would go into his antisemitic spray routine. So instead of publicly demonstrating their disdain and opposition to the Iranian president’s Jew-hating rave, they stayed away. Utterly shamful! , what a disgrace .